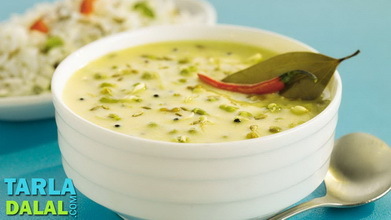 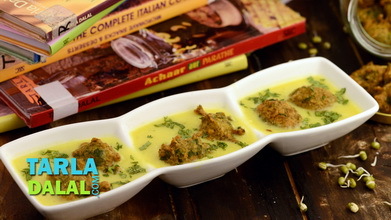 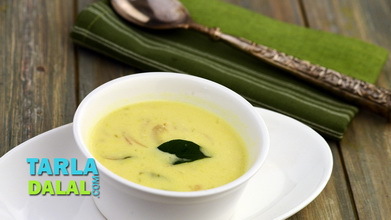 Palak Kadhi is a low-cal accompaniment to brown rice or roti with bountiful of iron and vitamin A. 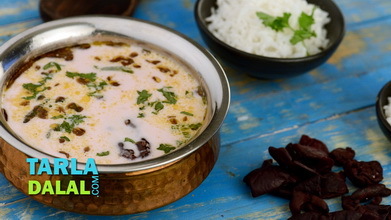 Heat the oil in a deep kadhai, and add the cumin seeds. 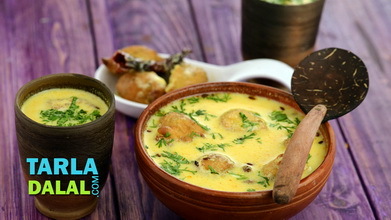 When the seeds crackle, add the onions, curds-bengal flour mixture, chilli powder, turmeric powder, ginger-green chilli paste and and cook for 1 minute. 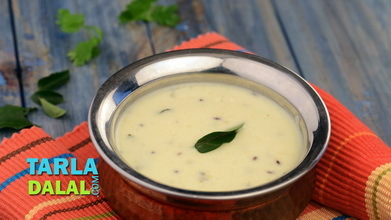 Add the salt and allow it to boil, whiel stirring continously. 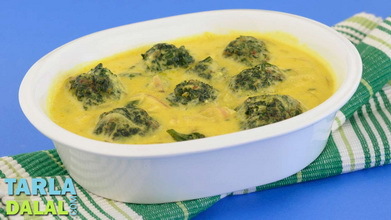 Add the spinach, 1/2 cup water and cook for 3 to 4 minutes, while stirring occasionally. 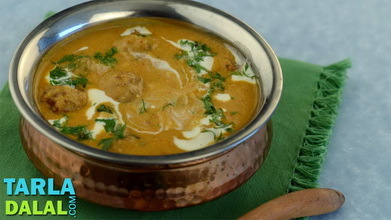 Serve hot with steamed rice or parathas.